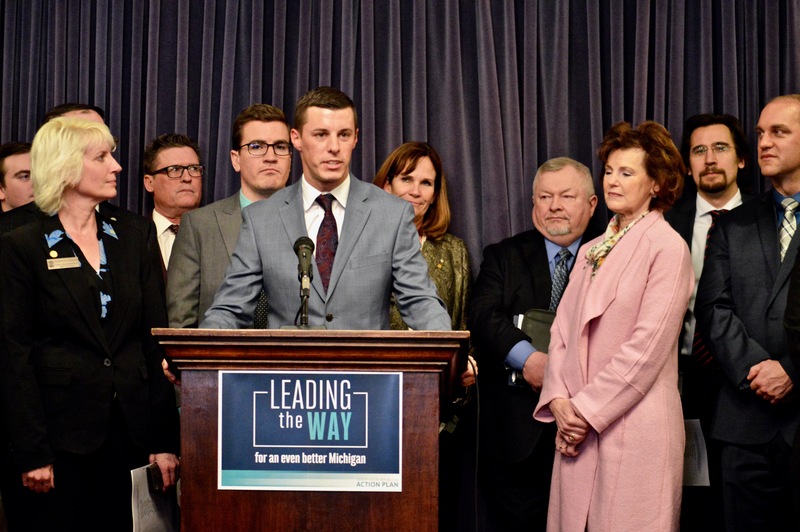 Michigan Democratic Party Chair Lavora Barnes on Wednesday accused state House Speaker Lee Chatfield (R-Levering) of being “intimidated by powerful women” in making “sexist remarks” about Gov. Gretchen Whitmer and Attorney General Dana Nessel’s handling of the Line 5 tunnel issue. “If [Chatfield] wants to use science as the excuse for his sexist comments, we would welcome all Republicans finally adopting the same position when it comes to the Great Lakes, as well as women’s healthcare, climate change, and a host of other areas where facts and figures should guide our decisions rather than emotion or dogma,” Barnes wrote. The liberal group Progress Michigan also weighed in, demanding an apology from Chatfield. Halting construction of Canadian company Enbridge’s propane and crude oil pipeline has been a longtime goal of environmentalists, and both Democrats made it a campaign promise. Nessel’s office last week issued a legal opinion that the law creating a governing board for the pipeline was unconstitutional, and Whitmer issued an executive directive shortly after barring state agencies from granting permits for the pipeline. This story has been updated with comments from state House Speaker Lee Chatfield.